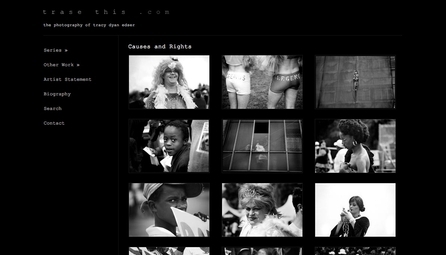 The client: Tracy Edser is a South African social documentary photographer who has won numerous awards, been featured in magazines and had her work exhibited internationally. The project: She required a website where she could showcase her work. 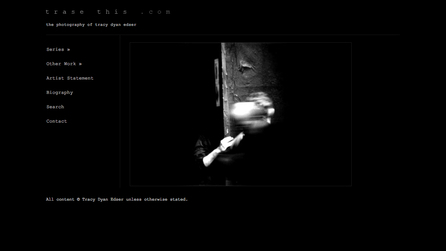 As with all other artist's sites, the brief was that the design had to be remain very simple and clean, and that the site should be all about her photographs.